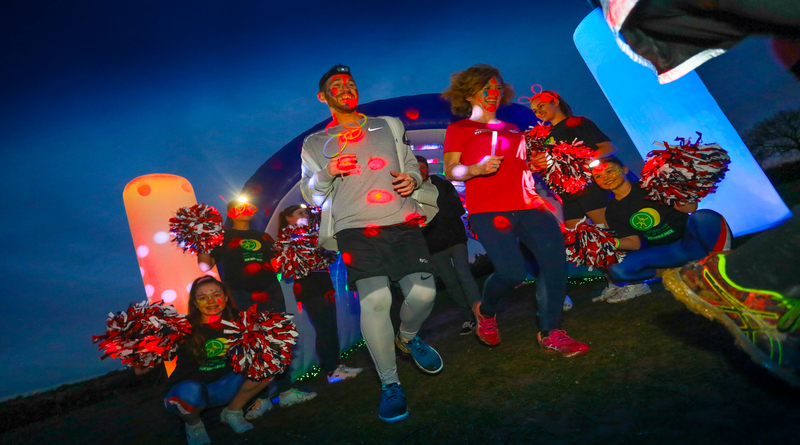 Get ready to glow at the first Hampshire and Isle of Wight Air Ambulance (HIOWAA) Dash in the Dark; a 5km fun run with a difference. 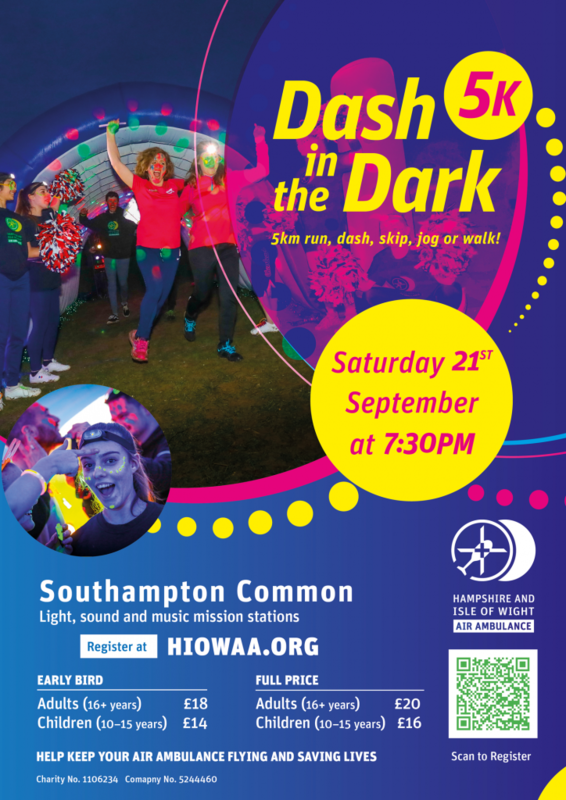 Dash in the Dark will take place on Saturday 21st September 2019 on Southampton Common. Participants will enjoy light, sound and music mission stations as they run, dash, skip, jog or walk around the 5km route. Mission 1: Wind tunnel. Participants must battle the winds to reach the helicopter landing pad. Mission 2: Neon night party station Participants will dance their way through a tunnel of bright green spinning lights. Mission 3: Pumping music. Sometimes our crew attend casualties in noisy night clubs. Our participants will enjoy pumping music as they make their way through tunnel three. Mission 4: Low cloud cover. In the final station, participants will use neon illuminations to guide them through the fog. The warm up on the night will start at 7:15pm, with the 5km Dash beginning at 7:30pm, as darkness falls. HIOWAA are encouraging participants to light up the night by donning neon face paints, fancy dress and glow sticks. The route is softly lit and paved throughout and head torches are essential. HIOWAA began night flying in January 2016 and last month 19% of flights were flown during the hours of darkness. Fundraising challenges such as Dash in the Dark help to raise the vital funds needed to keep our life-saving service operational, both day and night. Every penny raised on the night will help us save another life. Online registration is now open, and runners are urged to register early to secure a place, with the first 100 spaces from each category being sold at a reduced price. Each participant will receive an official Dash in the Dark t-shirt and a glow in the dark medal at the finish line.